Minimum 35 words! Please offer in detail your experience with 108 Heroes Multiplier Fortunes. Short and inconclusive reviews will not be approved. 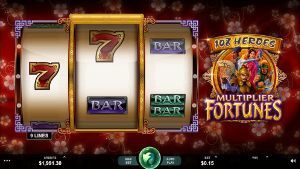 108 Heroes Multiplier Fortunes was reviewed by 0 users and received a - /5 .